Thanks Chris for your great review. ASR takes pride in happy customers and you are now officially part of the ASR family. Please reach out should you need anything else. Dawn, what an amazing review ... thank you so much for your kind words. We take pride in our work and love an excellent review. You are now offically part of the ASR family and please reach out anytime you need us. Excellent pricing, extremely knowledgeable, and quality work. I recommend this roofing company to anyone wanting a job well done! Thanks Chuck for the amazing review and your kind words. You are now a part of the ASR family ... feel free to reach out if you ever need anything. Casey, thank you so much for the amazing review and comments. You are now officially part of the ASR family and we are always here for you should you find the need. Thank you Beth for the kind review, you are now officially part of the ASR family. Call if you ever need anything. Thank you Zach for your kind words. We love a happy customer and we are now your ASR family so feel free to reach out if you ever need anything. It's been a week and my new roof hasn't had any issues. Thank you so much. Thank you Linda for the amazing review. We love a happy customer and we are now your ASR family so feel free to reach out if you ever need anything. Thank you Jeffrey for your kind words. We love a happy customer and we are now your ASR family so feel free to reach out if you ever need anything. Thanks so much Donald for your nice review. Highly recommend. Have had three roofs installed by American Standard Roofing. Good pricing, reliable, fast and great warranty. Thank you Andrea for your great review! Fantastic company, from the clerical staff to the builders. On time, and very cost effective. I would recommend this company to anyone looking for a roof, siding or gutters. Thanks so much Frank for taking the time out of your day to give us such a wonderful review. This really means a lot to a family owned business as ours. On time, satisfied every detail. Thank you Philip for the awesome review. We can not thank you enough for taking the time to review us. This means more to us than anything. Your project was our pleasure! Thank you so much for taking the time to share your experience with us! We love what we do and we are extremely proud of what we do. We can't thank you enough for the opportunity to take care of your home for you, and your review means more to us than a thousand advertisements. Thank you!!! Staff was professional, roofing crew did an amazing job, and the price beat other competitors. I would highly recommend this company. Thanks so much for taking the time to leave us a review! We appreciate you! Very professional, negotiable, fantastic work. Thank You!! It was our pleasure! They were great to work with. Everyone there that we worked with was very nice. You could tell that they care. The roof looks amazing and it got done very quickly. From start to finish I could not be happier with the roofing job American Standard did. They were prompt, professional, cleaned up after themselves and never stopped working. Very impressed! Thank You so much for taking the time to leave us a review! It is so appreciated! Very professional, and just an outstanding experience from start to finish. Thank You so much! We work VERY hard to stand out from the rest. Can't thank you enough for taking the time to leave us a review! Your review means the world to us! Thank You so very much for taking the time for us, and for your business! The supervisors were great and would not rubber stamp the instillation.Very dedicated and extremely helpful. Thank You so much for taking the time to review us! We appreciate it more than you know. It was our pleasure working on your home! Have a wonderful weekend Mr. Davidowitz! Thanks Cindy! We don't care if it's late, we appreciate your kind words!!! ASR did a fantastic job. The job was performed in a day. The employees left area cleaner that what we would have done. Very impressed. I would definitely recommend American Standard to others. Thank you so much. Thanks so much for your feedback! Every job is a gift, so we thank you so much for giving us the opportunity to take care of your roofing needs! We will pass on your compliments to your crew chief! Thanks so much! Every job is a gift, so we thank you so much for giving us the opportunity to take care of your roofing needs! Thank you so much Mindy! It was our pleasure!! You are so very welcome, Stacey! It was a great pleasure working with you! Honest dudes doing honest work. I called for a quote and the guy came out, said the roof was in good shape and recommended a couple things but said I could hold out for another few years. Fantastic honest folks. Can not thank you enough for your kind words! It was our pleasure! Thank you so much Mr. Spatz!! A professional job by a professional crew! 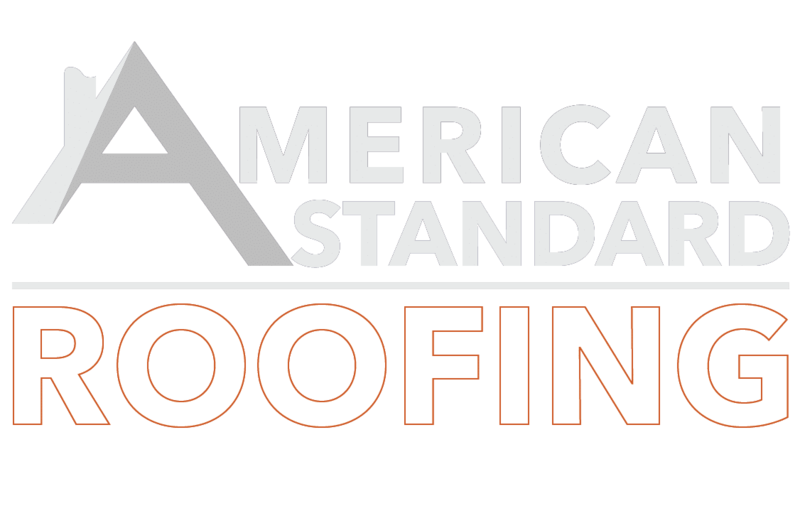 We highly recommend American Standard Roofing! A+ from start to finish. The owner is very conscientious. The roof work done on my home was completed by a great crew! From the call to the end of the job ! EXCELLENT WORK. The salesperson to the owner to the crew. HARDWORKING ! I love my roof. I am so glad that there is a business out there that you can trust, and excellent work. Can not thank you enough for your kind words as well as the opportunity to complete your project! Thanks SO much for taking the time to review us!! Thank You so very much! We strive for perfection & deeply appreciate your comments! Very professional from getting the estimate to clean up. Very friendly from the salesman to the installers and they were very thorough in their cleanup. We sincerely appreciate the positive feedback, and vow to continue providing you with excellent service. Thank you again for your business, and we hope to see you again some time soon. We were extremely satisfied. The roof looks beautiful. They did exactly what the salesman stated they would. I would recommend them highly. Thanks for your positive feedback. We really appreciate it. We take great pride in our workmanship and customer service. We hope to earn your business in the future if you ever require our help. They did a great job! The grew worked well together. Straight foword pricing! Thank you very much for the positive feedback. We really appreciate your business.We take great pride in our workmanship and customer service. We hope to earn your business in the future if you ever require our help. Thank you very much for the positive feedback. Arnie Goodman, our owner, is indeed loved by everyone. We really appreciate your business and are glad your first time home owner experience was wonderful. We hope to earn your business in the future if you ever require our help. showed up on time and stuck with quote. very good work! Thank you very much. As Michigan's top roofing company, we take great pride in our workmanship and customer service. We hope to earn your business in the future if you ever require our help. Very professional! Did a great job on my roof! Excellent cleanup afterwards! Neighbors and family has given me so many complements! Prompt and professional job done at the time of our convenience. Good value as well. All communications were excellent. No surprises. Thank you very much for the positive feedback. We really appreciate your business. As Michigan's top roofing company, we take great pride in our workmanship and customer service. We hope to earn your business in the future if you ever require our help. Thanks for your positive feedback. We really appreciate your business.We take great pride in our workmanship and customer service. We hope to earn your business in the future if you ever require our help. They replaced a portion of my old roof that had begun leaking. From start to finish they did a great job. Would consider for future jobs. Thank you very much for the positive feedback. We really appreciate your business. We hope to earn your business in the future if you ever require our help. I was very pleased with everything from the estimate to the finished job. Good reliable company. Thank you very much for the positive feedback. We really appreciate your business. ASR. I thought they went above and beyond what they contracted to do. Roof work went off without a hitch. Employee problems with the siding but the work was outstanding. Thank you for the positive feedback. We take great pride in our workmanship and customer service. We hope to earn your business in the future if you ever require our help. Please do not hesitate to call us if you have any problems whatsoever. 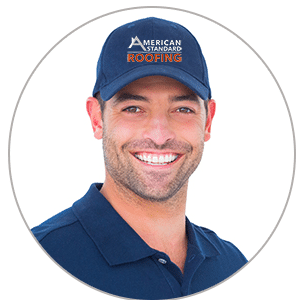 We are very pleased with the professionalism, the quality of work and an excellent price for our roof that American Standard Roofing put on our home this past month. All the little extras they provided were very much appreciated. Job was done as expected! They did a wonderful job. Everything was completed in one day. They were professional and did a great job with clean up. I would highly recommend them. Our roof looks awesome, thank you for your quality work. Thank you very much for the positive feedback. We have been in the roofing industry for a long time and take great pride in our workmanship and customer service. Please do not hesitate to call us if in the future if you ever require our help. American Standard Roofing has delivered on all promises. They did a fantastic job on my huge roof project last year and I am very impressed how responsive they continue to be if needed. I would recommend them to anyone! Dear Mr. Hoffman, we sincerely appreciate the positive feedback, and vow to continue providing you with excellent service. Thank you again for your business, and we hope to see you again some time soon. Thank you very much for the positive feedback. We really appreciate your business. As Michigan's top roofing company, we take great pride in our workmanship and customer service. As you mentioned, our reviews speak for themselves. Thanks again for recommending us! Thank you very much for the excellent review. We take great pride in the work we do and customer service we provide. 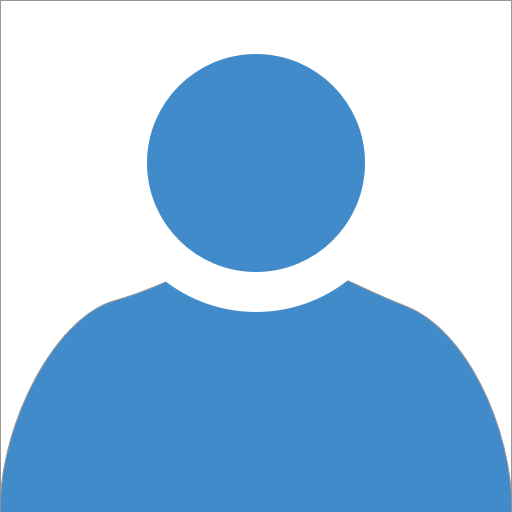 Please feel free to contact us with any future needs you might have. The warranty is exceptional along with the workmanship. The crew arrived on time and were friendly. They completed the work in one day and performed a magnificent clean up. No complaints at all and would highly recommend. Thank you very much for the excellent review. We really appreciate your business. We take great pride in our customer service and workmanship. We hope that you contact us for any future roofing needs you might have. American Standard Roofing gave me the best offer & estimates. Will post move feedback soon after work is completed. Thank you for taking the time out to leave a positive review. We greatly appreciate your business and hope we can be of assistance to you in the future if you need any roofing services. Thank you very much for the positive feedback. We really appreciate your business. We take great pride in our workmanship and customer services. Please feel free to contact us for any future roofing needs you might have. Had a great experience from the estimate to the walk around afterwards. The crew showed up early, but not too early, got right to work and did such a good clean up job that you'd never know they were here! The new roof looks amazing! As we had a great experience from the moment that we met you! What a pleasure it was to work with you, and we sincerely appreciate that you took the time to share your experience with everyone here. I am glad that the personal touch is appreciated, because we feel it makes a big difference for the owner to be involved on a daily basis. Not that he doesn't get exhausted from it at times, but he truly cares about each and every customer and he will be extremely pleased to hear that you enjoyed this extra effort. To be honest, your last minute change in color did not bother us in the least. You were at least considerate enough not to wait until everything was already installed, and that's what truly counts! Complimenting the office staff is something that does not occur often enough; you will have made them all very happy with this review and we thank you for that as well as your business. We sincerely appreciate the positive feedback, and vow to continue providing you with excellent service. Thank you again for the business, and we hope to see you again some time soon. Excellent Service... Thank you Arnie and Richard. Anything that you need Mike, as always. We appreciate the service and your review! The entire team enjoyed working for you Angela, from the secretary, estimator, and all of the roofing installers. If there is every anything else that we can do for you, even if it isn't roof related, feel free to reach back out to us. We sincerely appreciate the review and just wanted to let you know that it was a pleasure to work for you. The real credit does need to go to our loyal crews here. As you said, they worked regardless of the weather so that we could stay on schedule for you. Without that kind of commitment from our team, none of this would be possible. Despite all the delays, they were able to accommodate to our needs. At the end, the service they delivered was perfect. I am not sure I would classify it as perfection, but we will gladly take the compliment! If only we could figure out a way to control the weather, and thus our scheduling, then we would truly be worthy of such praise. Your patience and kind words mean a lot to us, and we look forward to working for you again in the future. It was a pleasure to work for you my friend, and as soon as you are finished with those other properties let us know so were can take care of those roofs.